Malta Football Association, Malta national football team, Birkirkara F.C. Ta' Qali National Stadium (pronounced [ta ˈʔaːli], Maltese: Grawnd Nazzjonali Ta' Qali) is the national stadium of Malta, and is the home stadium of the Malta national football team. 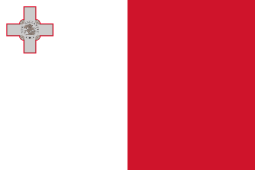 It stages most Maltese Premier League and cup matches, as well as international matches. The stadium seats approximately 17,000 people and it is the largest stadium in the country. For Maltese football enthusiasts, the most significant breakthrough to date was probably the construction by the local Government of a new National Stadium at Ta’ Qali, close to the old City of Mdina, in an area which served as a military airport during the Second World War. The new stadium was inaugurated in December 1981, and for the first time ever, top Division League matches and international matches started being played on natural turf. Over the years the association has kept the pace in improving its facilities with the aim of offering top quality facilities to its members and fans. Today, the Maltese Football Association boasts a National Stadium equipped with all modern amenities, including individual all-round seating for 18,000 spectators, a top-of-the-range floodlighting system, electronic scoreboard, a public address system, a media centre, VIP lounges, a gymnasium, a physiotherapy clinic, a Technical Centre and other facilities. Other refurbishments at the National Stadium include the laying of an artificial turf surface around the pitch, new laminated tampered glass fencing to replace the old wrought iron ones, a facelift of the dressing rooms and press area, besides other embellishments that have given Malta’s football centre stage a new look. Also there was the re-building of the 5,000-seater East Stand, henceforth called the Millennium Stand. This place houses the Malta F.A. Headquarters, 6 executive boxes, a secluded spectator balcony with an adjacent Foyer – ideal for use by Corporate entities at events being held in the Stadium, and facilities for indoor sport, besides providing areas for recreational and social activities. There is also a garage underneath, catering areas and ample parking space around the stadium. Besides these improved facilities, the Malta FA has converted the old gym underneath the West Stand into a centre for the use of national team players, with a state-of-the-art clinic to cater for their fitness needs and those of member clubs and visiting teams making use of the facilities. All facilities at the stadium are easily accessible by means of several entrances. In 2016 the Maltese Football Association announced a €1.5 million project to replace the old grass surface with a modern hybrid grass surface, with the latter having been in service for 35 years. The project was conducted by SIS Pitches who are renowned for other works such as the Vodafone Arena and iPro Stadium. The expenses were partly financed by UEFA and FIFA, with the rest being covered by the MFA. The length of the playing surface at the National Stadium was extended by three metres, from 102 to 105, while the width remained 68 metres to match the official pitch dimensions set by the International Football Association Board. Wikimedia Commons has media related to Ta' Qali National Stadium.